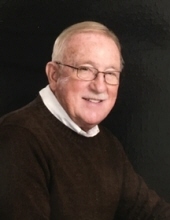 Thomas Bruce Francisco, 76, left his earthly home and entered the gates of Heaven on Friday, March 15, 2019. Known to his family and friends as “Bruce,” he was born on August 28, 1942, to Clyde and Faye (Yost) Francisco. Bruce graduated from Johns Creek High School in 1960 and went on to receive a Bachelors of Science from Pikeville College. He married Betty Mullins in 1966 and together they went on to open and operate a successful sanitation business, Busy Bee Septic Systems, Ltd. for the last 45 years. Bruce loved travel, classic cars, and his family. From the glaciers of Alaska to the ancient ruins of Greece to the Great Wall of China, he was fortunate to venture well-beyond the borders of his hometown. His greatest love of travel though was on mission trips, most often to Mexico, to work with Hart to Heart Missions applying his expertise in numerous skills and trades to further Christ’s Kingdom. A proud owner of a 1955 Chevy Bel Air, he loved to attend car shows and the Good Ol’ Boys Car Club, reminisce about his drag racing days, and recently started the process of having his old car returned to its former glory. Bruce loved, Betty, his wife, business partner and travel companion of 53 years. He taught his girls to work hard, hunt, fish and use power tools. Ever with a funny story to share, Bruce will be remembered for his quick wit, his infectious smile, his enjoyment of Sunday paper comics, and his generous heart. He was a follower of Jesus and attended Zebulon Church of Christ. Survivors include his wife, Betty, his three daughters, Patrice Chapman of Bowling Green, KY, Linda Thacker (Keith) of Knoxville, TN, and Sally Billings (Nathan) of Lexington, KY, and five grandchildren: Hadleigh Chapman, Emma & Thomas Thacker, Max & Ellie Billings. Funeral services will be Tuesday, March 19, 2019, at 2PM at JW Call & Son on Hambley Blvd. Visitation will be Monday from 5:30-9PM and Tuesday visitation will be from 12PM until time of services at the funeral home. Burial will follow at Annie E. Young Cemetery in Pikeville, KY. In lieu of flowers, the family requests donations to Hart to Heart Missions, Attn: Robin Hart, 2804 Greenwich Rd, Wadsworth, OH 44281 or Zebulon Church of Christ Building Fund, P.O. Box 3362, Pikeville, KY 41502. To send flowers or a remembrance gift to the family of Bruce Francisco, please visit our Tribute Store. With Shane Lockard and Robin Hart officiating. "Email Address" would like to share the life celebration of Bruce Francisco. Click on the "link" to go to share a favorite memory or leave a condolence message for the family.